The competitive advantage of a tourist product or service, in the global market, is based on the seller’s ability to offer a successful experiential offering system. Recent literature (Voss 2004; Quan and Wang 2004) shows that the demand for experience is the major trend in the global tourist industry and destinations more and more compete by emphasizing their experiential content (Buhalis 2000). According to Pizam (2010), the creation of experiences is the essence and the raison d'etre of the tourism sector. The expectation of a gratifying and memorable experience motivates tourists to buy products and services (Tsaur et al. 2006). Accordingly, an evaluation of the type of tourism experiences is critical for the success of hospitality and tourism products and services. With the stated aim of evaluating the experiential value perception and positioning, our analysis was conducted by processing tourist reviews, which consumers left on TripAdvisor, through a content analysis. The purpose of the research was to evaluate consumer perceptions regarding different operators of a particular touristic service format. The choice of platform from which to draw the opinions of visitors took place on the basis of indications provided by the literature. The ethnographical analysis dictates that we need a particular data source. Online consumer reviews have the potential to offer a wealth of information about consumers’ perception and how they prioritize different elements of the tourist experience, which then can be assessed to compare different tourist service formats. The content analysis was performed with an automated tool, to process a large amount of reviews, and, thus, allowed us to generalize the results to a specific tourist-services format. Furthermore, a semiautomated content analysis was implemented, in order to explore different experience types, in relation to the emotional variables identified by netnographic studies (Rageh et al. 2013): comfort, education, pleasure, novelty, recognition, relationships, safety, and beauty. The content analysis results, at this point, can also be read in the light of the Pine and Gilmore (2002) taxonomy of tourist experiences. This theory states that experiences can be positioned on a vertical axis where one end point is active participation and the other is passive participation and on a horizontal axis with absorption at one end and immersion at the other one (Oh et al. 2007). We can then say that the experience concepts, found throughout the content analysis and derived from eight variables identified by netnographic studies, can be inserted along the horizontal continuum. 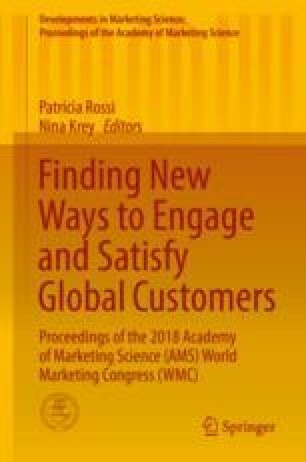 This method offers researchers and hotel managers a useful new tool, which can guide improvements and help focus marketing communication. In order to meet the expectations of postmodern tourists, seeking memorable experiences (Knutson et al. 2006), global tourism players must redesign and reposition their services. A deeper analysis of the type of perceived tourism experiences is necessary for us to redesign tourism successfully.